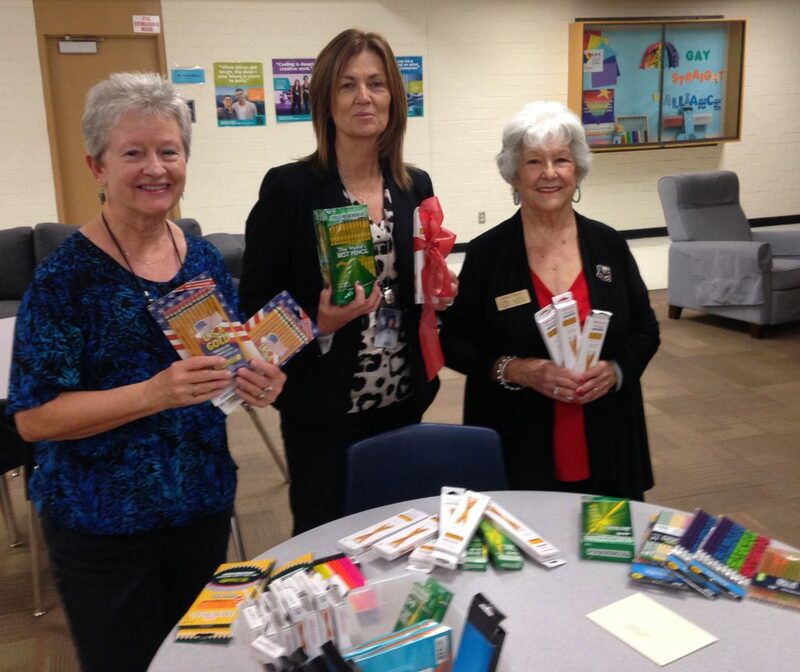 GFWC Paradise Valley Woman’s Club (Arizona) donated 1,000 pencils to Sweetwater Community School in Phoenix., and mailed 500 pencils to President Brock for a DC school. “USA Today” had results of a poll in September that pencils were the most requested by teachers, so the club decided collecting pencils would be a fun project. At the next meeting, members brought pencils by the package and already reached their goal after only one meeting! 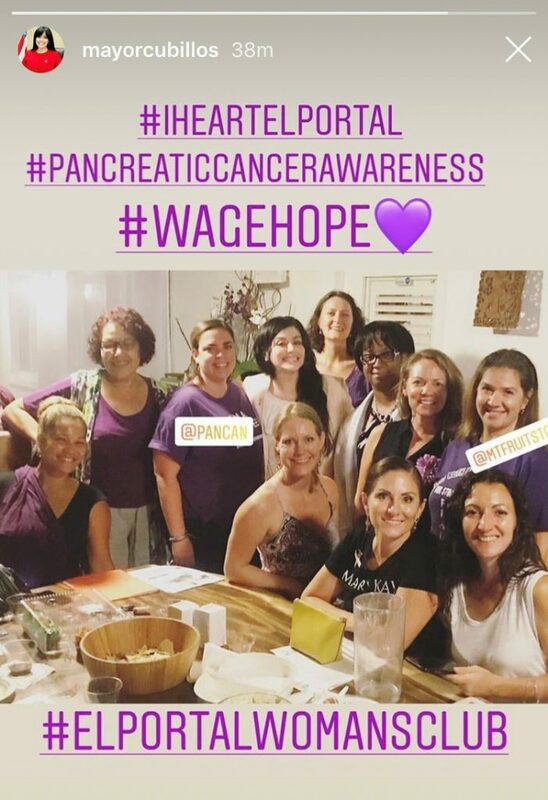 In preparation of November as Pancreatic Cancer Awareness Month, the GFWC El Portal Woman’s Club (Florida) hosted the Mayor and a representative from the Pancreatic Cancer Action Network to educate members about the horrific disease, and to plan for their collaboration walk on November 4, which is a 3 mile community walk that asks the town to come out, wear purple, and join the fight. Additionally, the club will light up the Village of El Portal by selling outdoor light bulbs to raise awareness. 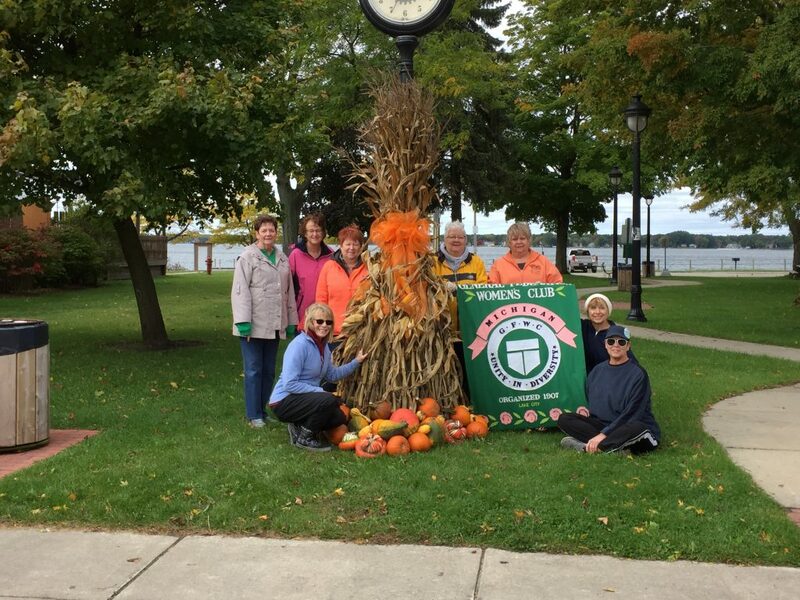 The Lake City Michigan Women’s Club (Michigan) decorated lampposts with corn stalks, ribbons, and pumpkins and gourds, just in time for the homecoming parade and the beautiful fall colors. 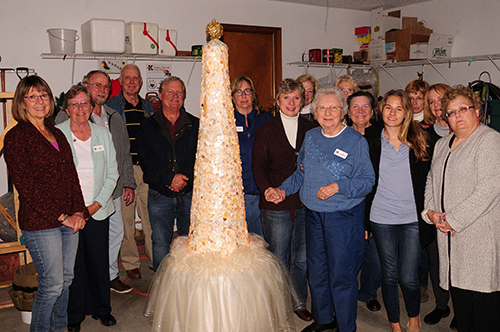 Local Centennial Farm, Ardis Dairy Farm, kindly donated over 1000 corn stalks and hundreds of pumpkins and gourds. Another local farmer, Murray’s Farm Market, drove by and immediately called the Chamber of Commerce office to express delight with the new look of downtown and to offer more pumpkins and gourds. The Chamber took the club’s picture and posted it on their Facebook page. The photo has over 2.5k likes., which is incredible for a small town like theirs! Several local people also stopped into the Chamber office to compliment the club’s creativity, and one fine gentleman even donated to their causes. The club even made the front page of the local paper. The following week they continued their beautification efforts by cleaning up the highway just outside of town.